The Freshmen Outdoor Orientation Trip (F.O.O.T.) is a unique wilderness experience which will take place the week before school begins. 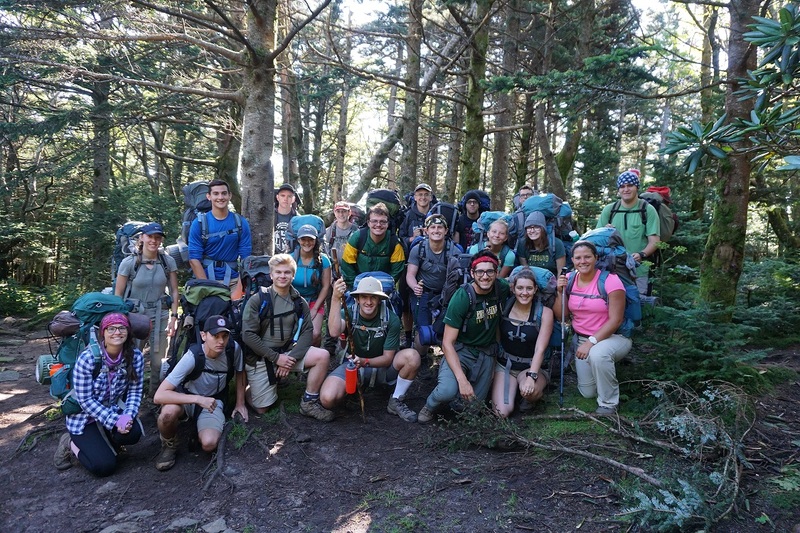 Trained upperclassmen will lead backpacking trips along the Appalachian Trail. These trips are designed for all levels of experience. F.O.O.T. offers an amazing opportunity for incoming students to meet a small group of new classmates and establish relationships with older student leaders. You will hike, camp, cook outdoors, play games, swim in waterfalls, and spend a day giving back to the mountains by learning how to build and maintain hiking trails. Cost Includes: ORC trip leaders, permit fees, camping fees, all equipment, two nights stay in hostel, all meals on location (excludes two meals while traveling), and transportation from WSU. Registration is open. Please contact the Outdoor Recreation Program Manager at erin.sherrets@wright.edu for more information. Tobacco, alcohol, and illegal drugs are prohibited on all Orientation Trips. If you must cancel your reservation for a trip, you will receive an 80% refund if you cancel more than 10 days prior to your trip date. If you cancel 10 days or less prior to your trip date, then you will receive no refund. If you are registered for a trip which exceeds $200.00 you must cancel 30 days prior to the trip departure date or receive NO refund.In the event that a trip is canceled by the Outdoor Resource Center prior to its departure date, 100% of all registration fees will be refunded. Trip costs are to be paid at the time of trip registration. VISA, MasterCard, and Discover are acceptable forms of online payment. Cash or Check payment may be used when registering in-person in the Outdoor Resource Center (037 Student Union).